This one-of-a-kind, world-class facility is one of New Mexico's top visitor destinations. Each of the ABQ BioPark facilities and attractions offer fun and unique entertainment and events year-round. Located on 64 acres next to the Rio Grande offering guests close encounters with over 250 exotic and native animals from five continents. From lions and elephants, to kangaroos and koalas, the Albuquerque Zoo offers a naturally amazing experience with their educational exhibits. Visitors learn more about wildlife conservation efforts while showing animals in naturalistic habitats. Coming spring 2019, visitors will be able to see Sub-Antarctic penguins right here in the high desert, at the Penguin Chill Exhibit. Albuquerque's zoo is home to many baby animals. Zoo babies are always exciting to visit, and some of the newest baby inhabitants include a baby male giraffe named Neelix and two baby spotted hyenas named Havoc and Ruckus. 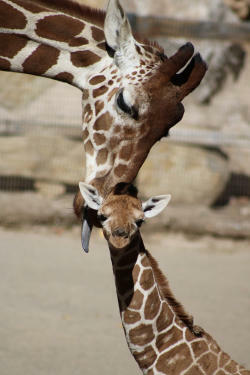 Visit the Zoo today to see what other babies have recently arrived! Featuring marine habitats of the Rio Grande and Gulf of Mexico, with coral reefs, stingrays, jellyfish and a 285,000-gallon shark tank. 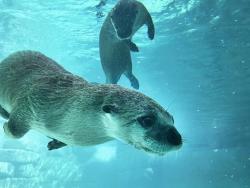 Among the Albuquerque Aquarium's many interesting, colorful, immersive exhibits, is the popular river otters experience. The two female river otters, Chaos and Mayhem, exhibit distinct personalities and share a close bond. Visitors will often catch the pair tumbling around on the land and in the water, and cuddling up together during nap time. In addition to exhibits and displays, the Aquarium offers hands-on experiences and activities including the Aquarium Theatre, divers in the water, story time, and much more. Explore more than 1.5 miles of paths through both formal and whimsical gardens designed to delight. This lush state-of-the-art conservatory showcases Desert and Mediterranean climate zones, a Children's Fantasy Garden, Railroad Garden, BUGarium, Sasebo Japanese Garden and seasonal Butterfly Pavilion. 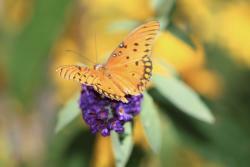 This popular, immersive butterfly exhibit features 40 species of native butterflies and moths, as well as other important pollinators like non-stinging native bees and fig beetles. 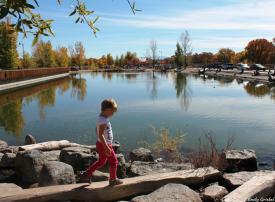 The Travel Channel called the ABQ BioPark Botanic Garden as one of the top 12 in the country! Located adjacent to the Rio Grande Bosque, Tingley Beach consists of three fishing ponds that are open to the public, free of charge.